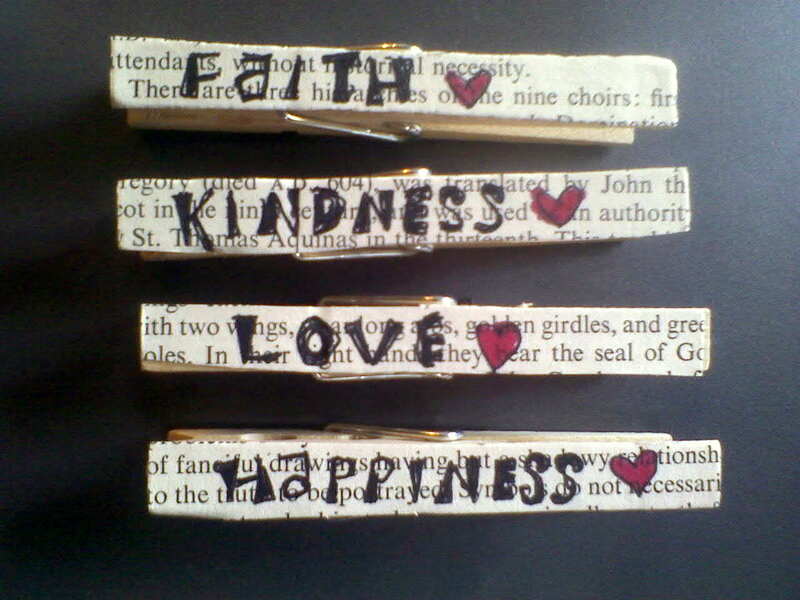 I don't know if anybody remember these little magnet clothespins I made last year or not. 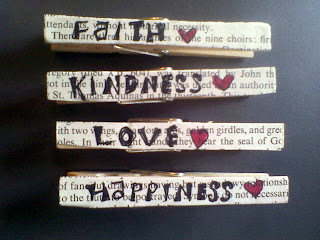 All you do to make them is cut out pieces of newspaper or pages and glue them to the top of your clothespin. Then, decorate however you'd like and glue a magnet onto the back. I use them all the time. I put one over our clip of menus on the mini fridge. And another one over our cleaning check list. This is just a quick little project that is very easy to personalize.